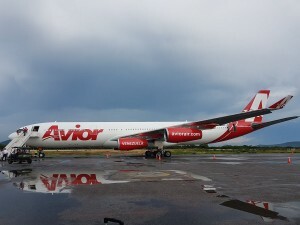 CARACAS – With an investment of about 150 million dollars, Avior Airlines initiated the renewal of its fleet to continue being the Venezuelan aviation company with the most international destinations. The start its expansion plans, Avior Airlines received the new member of its fleet, the Airbus A340-300. The aircraft is the first of several aircraft acquired by the company. With this aircraft, the company will increase its operations and give a better service to its passengers. “We are investing in the betterment of our company by increasing our fleet, guaranteeing new frequencies and routes, expanding our commercial horizon to destinations in America and Europe,” said Jose Sulbaran, President of the company.